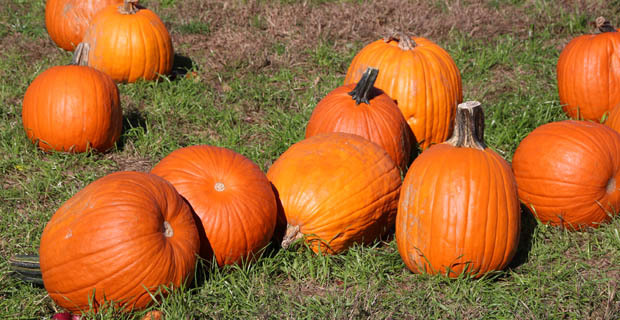 North Jersey Farms - Apple Picking, Pumpkin Picking, Hayrides, Mazes and More! Enjoy your day with a hayride to their pumpkin patch and corn maze. Enjoy a scenic ride of the farm, where you will pass by a pond, willow trees and fall decorations. Once you make it out to the field, feel free to explore the corn maze and pick a pumpkin. Visit and feed the animals at the petting zoo. Get your cameras ready for memorable photos of “How Tall This Fall” and face cut outs scattered around the farm. Younger children will have fun working their way through the hay maze and playing with toy tractors in the corn box. Celebrate Fall with a Hay Ride to the festival site. Featuring pumpkin picking, pony rides, corn maze, hay bale maze, pumpkin bowling, pedal karts, potato sack slide, pumpkin moon bounce, food, music and much more. Pick your own apple season begins the first week of September. Our apple orchards feature 34 varieties of apples ranging from traditional classics to heirloom specialties to modern favorites. Among them: Golden Delicious, Macoun, Empire, Fuji, Baldwin and much more! Hayrides are available through the orchard and out to the pumpkin patch. Pick your own cherry tomatoes are also a hit. U Pick Pumpkin and Apple season starts after Labor Day. They feature one of the largest displays of pumpkins in the State of New Jersey. Giant pumpkins galore for the pleasure of all. Fun fall season for families and children of all ages, with fabulous photo opportunities everywhere. Hay Rides, Pumpkin Slingshot, Corn Mazes, and Farm Tours are available. Pumpkin Picking, Haunted Hayrides to a Haunted Greenhouse, Corn Mazes, House of Horror, Cowboy Shows, Petting Zoo, Face Painting, Cowboy Larry’s Wild West Show and much more. Apple Fest event will feature a full antique car display with over 40 cars ranging back to the early 1900’s, fun games, local vendors offering product samplings, farm animals, a clown, live music, and of course plenty of apple options. Great pumpkin festival runs Sept 16th through Nov 5th. Largest Fall Festival in Northern New Jersey, U-Pick Pumpkin Patch, Corn Maze, Farmers Market, Garden Center, Bakery, Gift Shop, Wine Tasting & Ice cream. An old-fashioned country fair reminiscent of the 1890s. It takes visitors back in time. Experience old-fashioned fun with wagon rides, games, live entertainment and craft demonstrations. Enter one of many competitions ranging from needlework, baked goods to homegrown vegetables. All things apple this weekend. Come for apples and baked apple goods. Free game activities for kids. Apple pie eating contest and more. Come pick your own apples and pumpkins! Fun for all with Corn mazes, Rope Maze, Tile Maze, Gemstone Mining and Noah’s Ark Playground. Pick-Your-Own Apples and Pumpkins! Fill your day with your favorite farm activities - wagon rides, pony rides, face painting, pumpkin painting, make your own scarecrow and more. $ Admission.